Following the success of the Adam Levine-Kiera Knightley starrer Begin Again, Solar Pictures brings to local cinemas “COMET”-- a cosmic love story that is sure to leave audiences with that warm February feeling. “Comet,” stars Golden Globe nominee Emmy Rossum (“The Day After Tomorrow,” “The Phantom of the Opera,” “Mystic River”) and Justin Long (“Live Free or Die Hard,” “He’s Just Not That Into You”). “Comet” is an original modern love story that follows Kimberly (Rossum) and Dell (Long), who first meet at the Hollywood cemetery where they’ve both come to watch a meteor shower. Kimberly is brilliant and beautiful; Dell is nerdy and pessimistic, but with an incredibly sharp mind and direct manner. While she and he are not a natural pair, they are cosmically drawn to each other and, under a night sky, luminous with falling stars, they begin their epic love story. But what starts as a typical romance quickly turns dreamlike as viewers leap back and forth in time, examining their eventual six-year relationship through the lens of their meeting and four other pivotal moments: a monumental fight at a friend’s wedding in Paris; a break up conversation after Dell has moved to New York; a reconnection on a train ride along the California coast; and finally, when Dell pops in on Kimberly unexpectedly in her home in the Hollywood Hills. The leaps between these moments are seamlessly woven together to create a sense that this love story transcends time and space and that Kimberly and Dell are destined to be together, if not in this universe, then maybe the next. Content Media introduced and screened the film to international distributors for the first time at the 2014 American Film Market (AFM) last November and was then picked up by Solar Pictures, among other films. 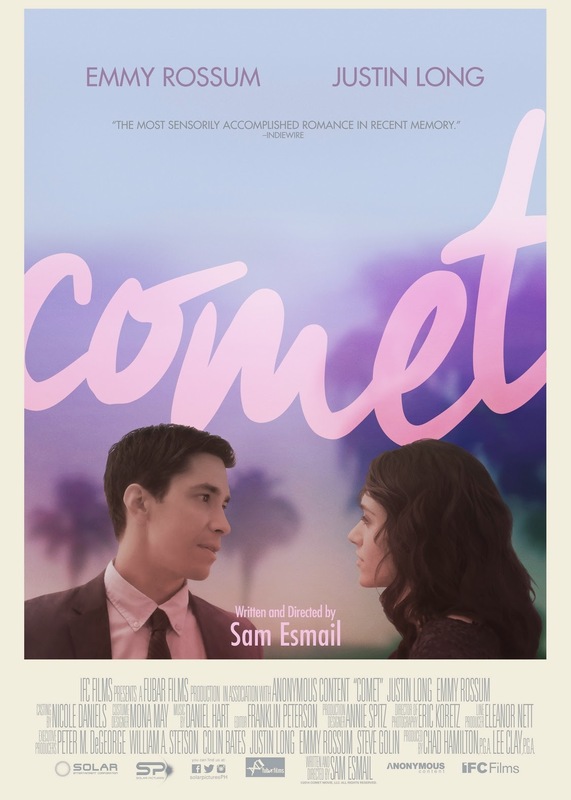 COMET opens in cinemas nationwide on February 25, 2014 and is released by Solar Pictures. Lenny Kravitz in Manila this March! 5 Ways to Spruce Up Your Prayer Life! Bohol introduces Visit 2015 Campaign.